 SAMARITAN’S PURSE IS RAISING AWARENESS ABOUT THE RISKS OF TRAFFICKING AND ALSO HELPING FAMILIES IN POOR VILLAGES AVOID EXPLOITATION. Morning’s first light brought the promise of a long day for those already making their way across the Cambodia border into Thailand. The work awaiting them, likely in construction or agriculture, would prove brutal in the smothering heat. For families from impoverished Cambodian villages—where there’s no means of earning an income—survival depends on finding a job, even if that means taking the risk of crossing an international border and working for almost nothing. For 67-year-old Timkaon, a widow without children or relatives, daily crossing the border in search of work has turned into a 10-year routine. Recently, the stakes have become much higher because Timkaon is trying to care for an orphaned 3-year-old girl from her village. She held the child’s hand as they approached the border. The little girl must go with Timkaon as there’s no one else left to look after her. Timkaon crosses the border daily in search of work. 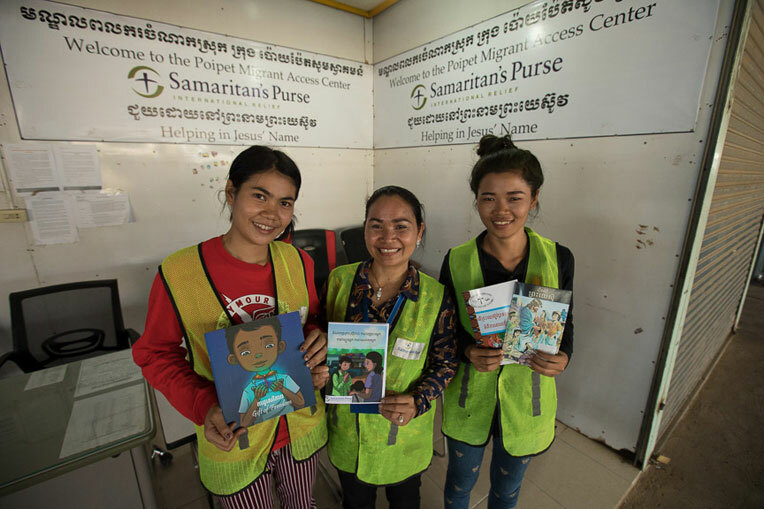 Samaritan’s Purse staff in Cambodia met Timkaon and many other families at the border and talked with them about the risks of unsafe migration and how to take steps to cross the border safely. We want to ensure that people who migrate understand the potential for exploitation and how they can avoid becoming trafficking victims. Samaritan’s Purse is working in a variety of ways to decrease human trafficking in the area. We teach at border crossings, offer critical support at our migrant centre, provide livelihoods training to help lift families out of poverty and train school teachers about safe migration so that they can in turn inform their students. Samaritan’s Purse staff teach people at the border crossing about safe migration. Last year, more than 71,000 workers deported from Thailand were returned first to the Samaritan’s Purse migrant access centre in Cambodia. They arrived in crowded trucks, tired, hungry and scared. Staff at our centre receive these Cambodian families with compassion and serve them in Jesus’ Name. We provide water, snacks, clothes and safe migration information. We also offer transportation assistance and referrals to local partners who can assist with short-term shelter and job opportunities. Our migrant access centre staff serve with compassion and demonstrate God’s love. 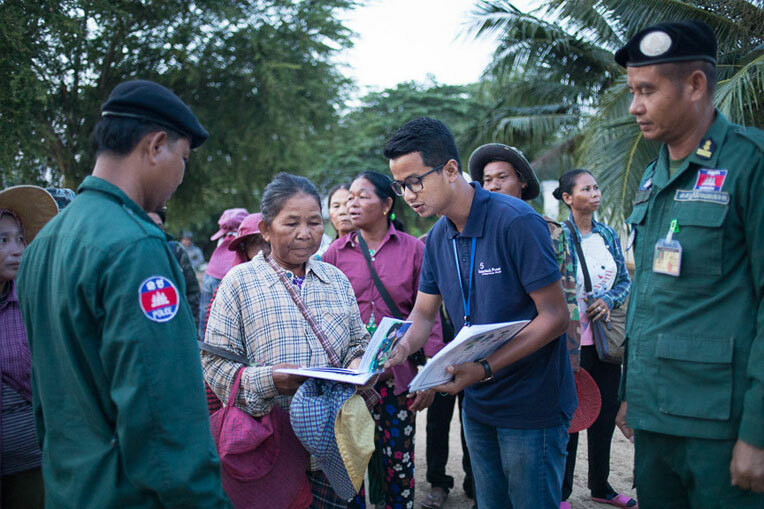 “Many people we support do not have money because they paid a broker to help them get to Thailand or they never received money from their employer,” explained Try Naisoy, who coordinates our centre in Banteay Meanchey Province near the Thailand border. 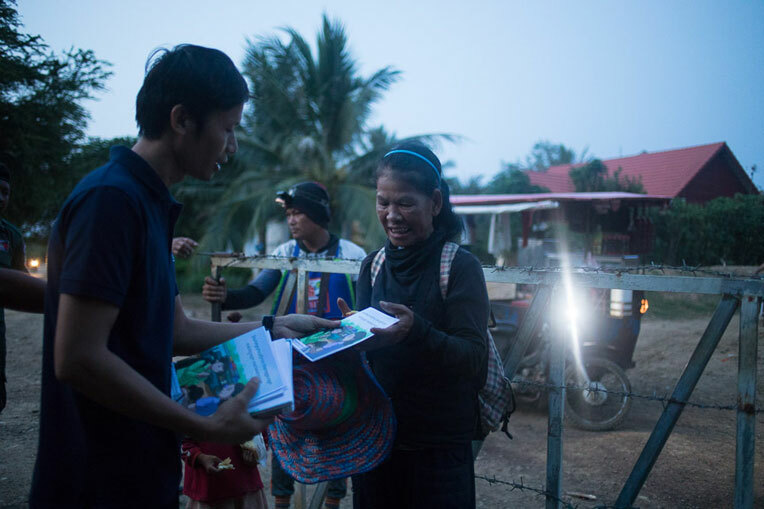 This was the situation for husband and wife Reth and Eau who, like many Cambodians, could not afford access to documents such as a passport, visa or work permit that would have made migration safer. They paid a job recruiter upfront to secure them a position and to provide these documents, only to discover after they migrated that the documents weren’t legal and the job offer was false. Samaritan’s Purse provided the couple with financial help to return home, as well as food and clothes. Most important, our staff presented the Gospel to Reth and Eau, as they have done with thousands of people who have been welcomed and cared for at the migrant access centre. Many people in Pha’s village have migrated for work, including her husband. “He worked in Thailand for one year but his employer never paid him. We got a loan to pay the job recruiter and we are still paying back the loan,” Pha explained. Pha is busy at home taking care of their four children, but because of their debt, has also had to work some as a day laborer. Pha learned how to raise healthy chickens that can sell in the local market. Pha and her husband recently participated in a training sponsored by Samaritan’s Purse where they learned how to build a chicken coop and how to keep their birds healthy. “Raising chickens is very helpful for my family—it has increased my family’s income,” said Pha, who sells the birds in the local market. 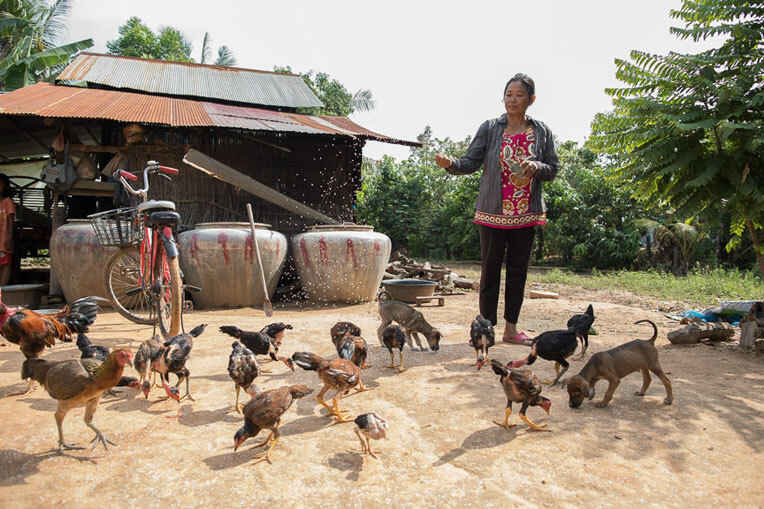 Our various livelihood projects, which also include growing mushrooms and raising pigs, make it easier for families like Pha’s to earn an income in their village, which reduces their vulnerability to unsafe migration. Samaritan’s Purse is also equipping teachers with knowledge about migration, so that they can help keep their students safe. More than 80 percent of students at the school where history teacher Saroeun works are from poor farming families. Once school teachers participate in our training they can then share about the dangers of unsafe migration with their students. Saroeun explained that sometimes, instead of daily crossing the border, parents migrate for extended periods of time, leaving children with relatives or on their own. This can force children and youth to quit school in order to find work or migrate themselves. Most students at Saroeun’s school do not continue their education after primary or secondary school. Members of Saroeun’s family have also migrated and so he knows the incredible heartache that comes with struggling to provide for a family. During the Samaritan’s Purse training, Saroeun learned motives behind trafficking, who can become a victim and common ways traffickers deceive people. Saroeun is grateful to Samaritan’s Purse for helping keep his students safe from exploitation. Please pray for the teachers, students, and families we are reaching through our safe migration projects in Cambodia. Pray for our staff as they share the hope of Jesus Christ with Cambodians in desperate need.